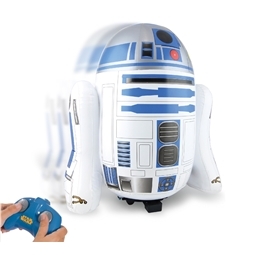 R2-D2 is the swiss-army knife of droids, with it's multiple functions, from fire extinguisher to having a buzz saw this droid truly had a function to solve any problem, and now the droid is desktop vacuum! If you're fed up of having crumbs all over your desk simply plug this guy in using the USB cable and press the button on it's and your good to go! Once the droid is full just simply remove screw off the top and tip the mess into the bin.Feel the cleaning force from the droids front leg, there's no mess to big or to small for this little droid. 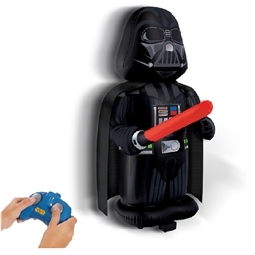 It's a great gift for Star Wars fans or that one person that leaves crumbs everywhere. Sadly can't project holographic messages or save you from trouble but it will keep your desk clean, which is just as impressive! We're all guilty of leaving crumbs on our desk but there's no need to worry about them anymore, with this R2-D2 Desktop Vaccum. This plucky little droid is used to fixng starships and pretty much having a solution to any problem but everyones favouyrite droid has now been converted intlo a desktop vacuum to clean up your mess. Just simply plug the mini vacuum into a usb port and press the button on the top and use the force from the droids front leg to clean up your mess. 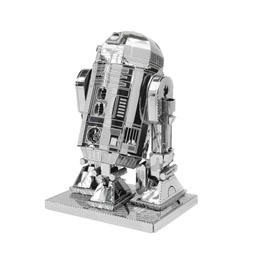 It's the perfect gift for mssy eaters or the Star Wars fan in your life!